The next stage is the staining. We believe it is very important to get the l0gs protected as soon as possible from the elements. 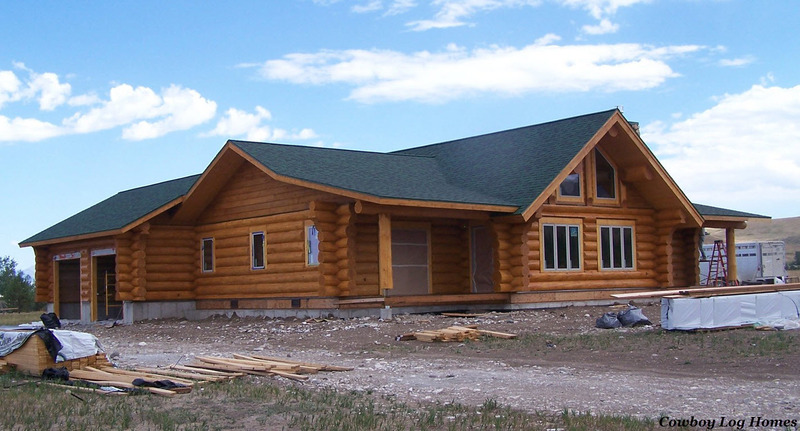 For this home the owners have chosen a Perma-Chink water based log home stain. It is a three step process. But before we begin applying the log home sealant we go over all of the log surfaces with a round Osborne bristle brush attached to a variable speed grinder. 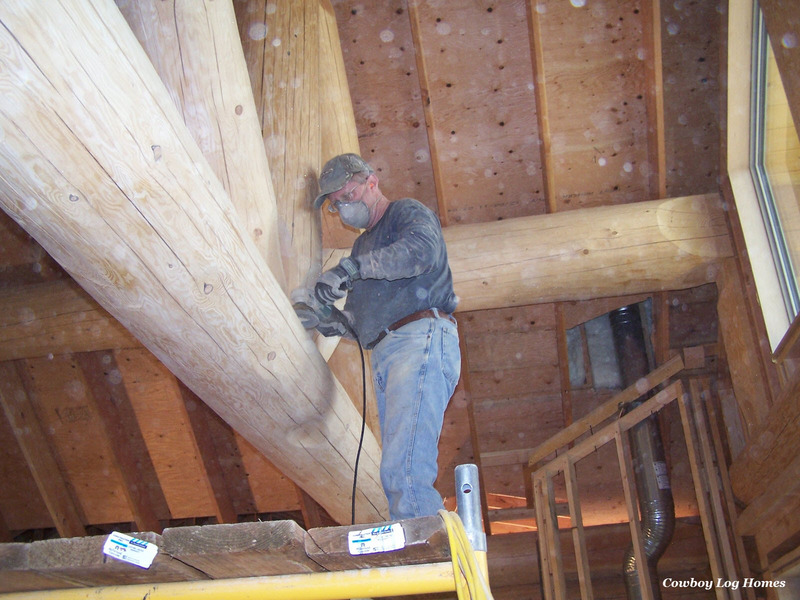 Here we see Mike up on the scaffold log brushing the king truss. For this we use a variable speed orbital grinder that is kept between 1800 and 3000 RPM’s during use. The Osborne brush is rated to go 6,000 RPM’s, but we found the brush ‘burns’ the logs at that speed and also overheats the grinder very quickly. It is best to keep the grinder between about 1800 to 3000 RPM’s and also move smoothly and evenly from one area of the log to the next. Even at the lower RPM’s the grinders still heat up. Due to this overheating it is ideal to have 2 grinders per workman. Then the grinders have time to cool down between use. Once all of the logs are brushed then the we apply the log wash that was purchased with the Perma-Chink stain. Then begins the staining. By now we are into August. We begin staining on the highest area of the home. This stain is a three coat process– two coats of stain followed by a clear top coat. 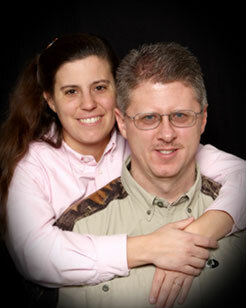 Here we are set up on the front of the log home. The windows and doors are masked off to prevent stain from adhering to them. 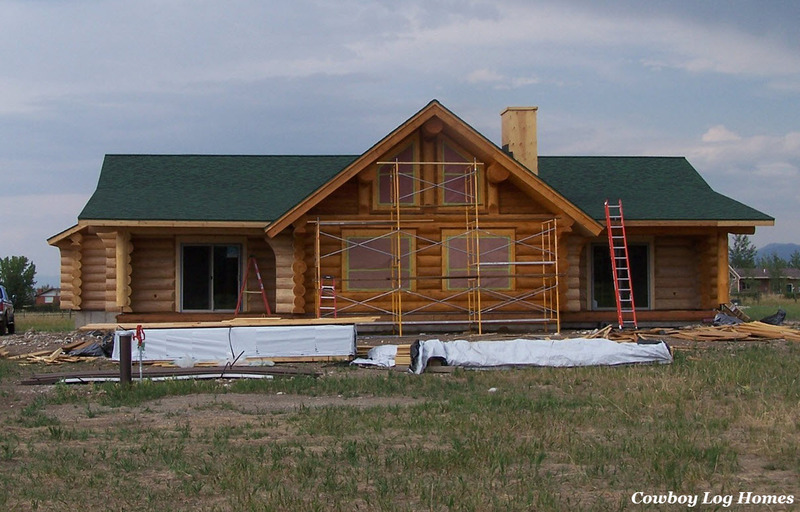 Here we see a side view of the log home all masked and ready for staining. 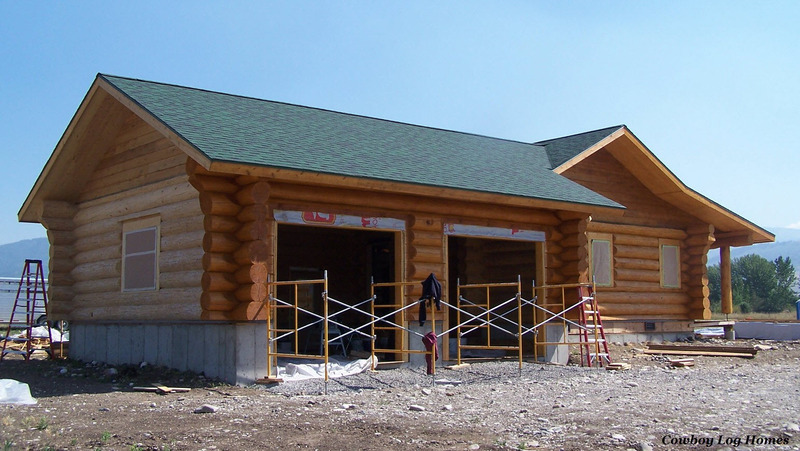 All of the exterior door and window trim has also been installed so it is stained at the same time as the logs, soffit, fasica, and gable siding. A first coat of stain is applied to the entire exterior. Then followed by the second coat. We prefer to hand brush all of the stain. This helps to insure an even application of the stain and also insures it gets into all of the various angles, crevices, and deviations in the logs. The exterior stain color is Autumn Gold. Here we see all of the stain coats and the clear top coat have been applied. In our rear view photo the staining is complete but the window covers have not been removed yet. The idea behind the water based stain is to allow the logs to breathe and any moisture to escape. There are also oil based stains that allow the logs to breathe, but for this project the water based stain was chosen. With proper maintenance (always be sure to check with your manufacturer for details on recommended and required maintenance for the warranty of the stain you choose) this stain carries a 5 year guarantee.